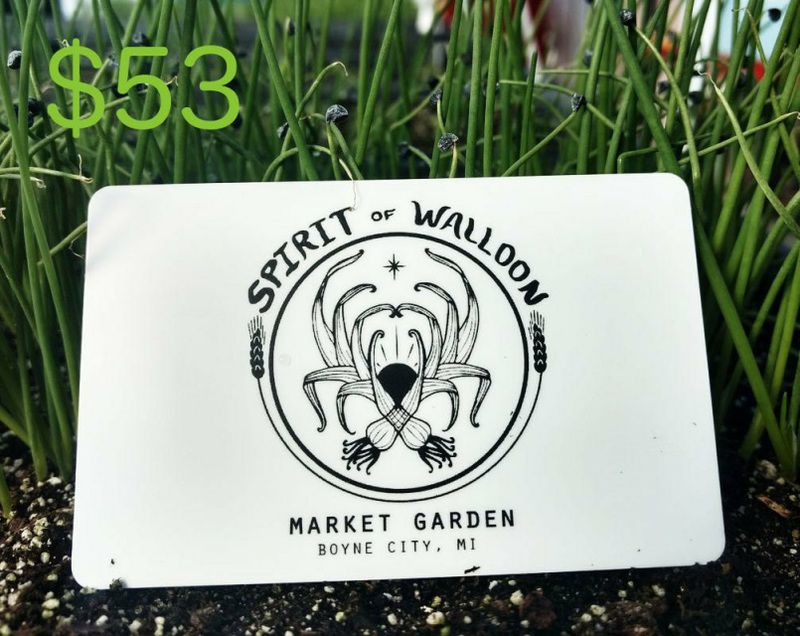 Our $25Farm Card is a reloadable, swipe-and-go gift card that offers all the convenience of farmers market shopping along with the bonus savings of a CSA. The card is redeemable at our farmers market booths in Boyne City and Petoskey, and at our summer on-site farm stand at 06255 Zenith Heights Rd, Boyne City. The Farm Card helps to simplify your farmers market shopping by going cashless at our booth. It is is reloadable at any time, and never expires. 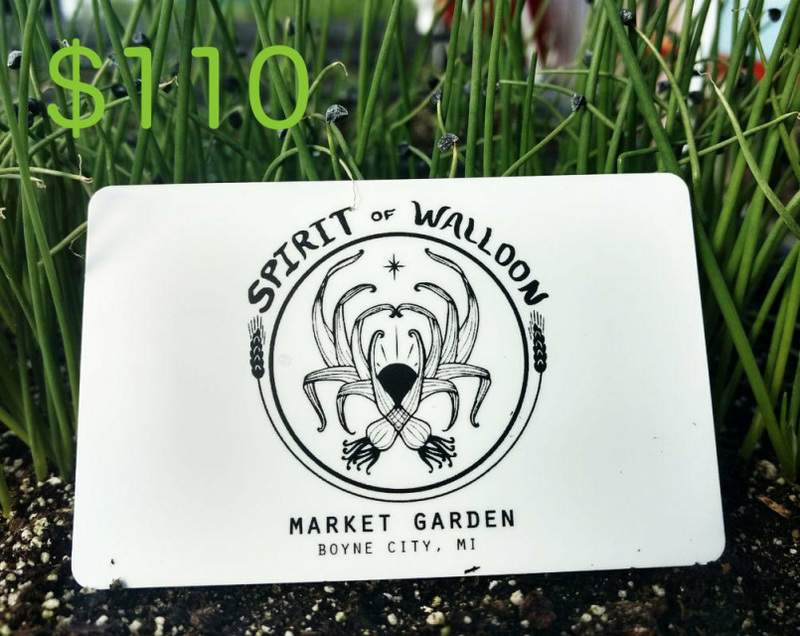 Our $110 Farm Card is a reloadable, swipe-and-go gift card that offers all the convenience of farmers market shopping along with the bonus savings of a CSA. The card is redeemable at our farmers market booths in Boyne City and Petoskey, and at our summer on-site farm stand at 06255 Zenith Heights Rd, Boyne City. The Farm Card helps to simplify your farmers market shopping by going cashless at our booth. It is is reloadable at any time, and never expires. Our $230 Farm Card is a reloadable, swipe-and-go gift card that offers all the convenience of farmers market shopping along with the bonus savings of a CSA. The card is redeemable at our farmers market booths in Boyne City and Petoskey, and at our summer on-site farm stand at 06255 Zenith Heights Rd, Boyne City. The Farm Card helps to simplify your farmers market shopping by going cashless at our booth. It is is reloadable at any time, and never expires.